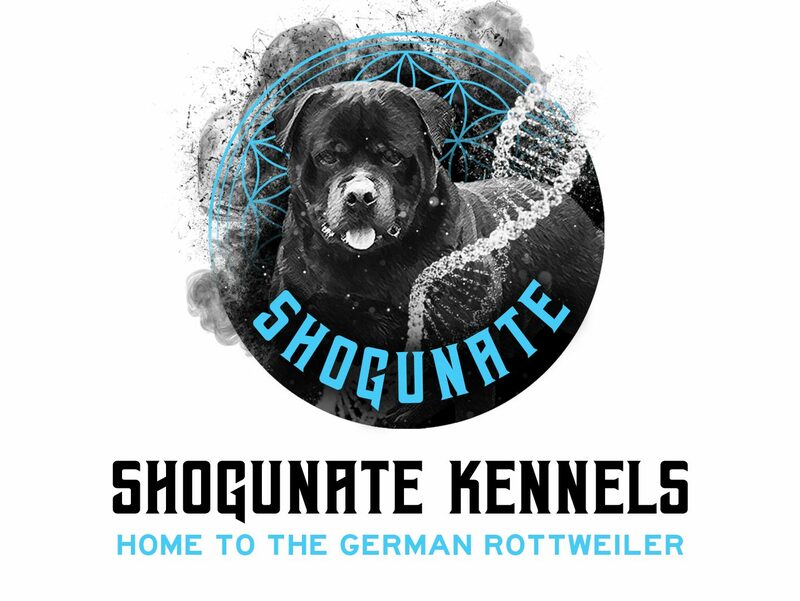 Shogunate is an exclusive breeding program, many of our dogs are placed privately. We welcome all enquiries, however, priority homes are given to names on our reservation list and obedience club members. 1. Free Private training and consultation is offered to all of our puppy buyers. Professional training videos and excellent reading material are also provided. 2. All of our Rottweiler puppies come with pedigree papers, are wormed at 2,4,6 and 8 weeks, vaccinated & micro-chipped. 3. Our Rottweilers are Hip and Elbow xrayed and JLPP tested. 4. We guarantee our pups against hereditary conditions/illness. 5. We re-home all of our puppies should you be unable to continue to take care of him/her. 6. Puppies sold abroad pay all travel related expenses, including the return of any pup. Deposits are non-refundable.